Higher education has become selective, even exclusive, in recent years. 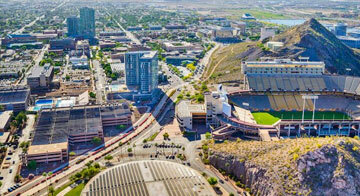 Arizona State University is out to change that with their new Global Freshman Academy. Check out this recent article in Fortune. The article details the new partnership between Arizona State and edX, an online learning company, that offers a fully-online freshman year for students. Online education seems to be the way of the future: students in the new Arizona State program have to complete eight courses to make up a full freshman year, all of which are offered in MOOC (massive open online course) format. The online program is accredited, so the credits that students earn are likely to transfer to most other colleges. Even better, students only pay for courses are they pass them, and the total sticker price of a freshman year is just over $5,000. Students can save tens of thousands of dollars by taking their general education classes through Arizona State rather than through any elite, costly university that offers the same exact classes. What do you think about an online freshman year? We would love to hear your thoughts in the comments below.